The competition had 245 entries this year with 53% from individuals, 10% from Juniors, 6% from Youths, 8% from Clubs and 23% from Overseas. Bernhard Hausberger for his documentary film Oldiegarage. You can read Bernhard's account of making the film here. A Rather Different Year (Ein Etwas Anderes Jahr). 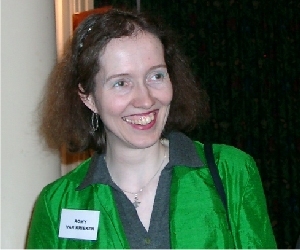 Romy Van Krieken, was a final stage judge for BIAFF in 2006. This year she gave the toast to the IAC at the Festival dinner. Her speech, reproduced here, will strike a chord with many amateur film makers. I would like to talk to you about something which most people call a hobby and some describe as sheer madness, when in fact it is a disease. A disease one catches through the sting of a small but very powerful insect: the filmbug. And not just any kind but the amateur-variety which is a particular nasty one. For it takes devilish delight in not stinging people who have nothing better to do than suffer from it. No, this little monster aims for quite ordinary people. People with nice jobs, children, partners, homes and even gardens to tend to. On top of that the incubation time can be years, even decades. Why some people, even here in this room, manage to lead very normal lives right up until retirement before even they succumb to the disease. Then it is up to their family to hide the symptoms, because what will the neighbours think! When a man in his living room directs another to fake-stab a third. The attacker in question miscalculates the distance to his opponents heart, knocks over the fishbowl and trying to catch this, bumps into the bookcase which topples over, right unto grannie's comfy chair which launches the cat out the window. Then the concerned lady from next door pops her head over the fence and enquires if her neighbour is feeling alright. His wife sweetly informs her he is busy putting a new table together from Ikea and leaves the woman alone with her curiosity in order to once more tend to the bruised pride of a misunderstood artist. Sounds familiar? I can name many other symptoms but the itch must be the worst as it stays with you for the rest of your life. It will influence your behaviour, how you divide your time and the way you view to world around you. One moment you are happily walking along the street and the next you spot this building that would make an excellent location for a murder mystery. Or you are shopping with the children and realize the woman in the next isle has the perfect voice for the narration of a documentary on field mice. When you scramble for paper and pen to jot down her number there is a look of recognition in the children's eyes because: Daddy is at it again! You hope it will never happen to them, that they will be spared because they have no idea what it is like to be bitten. A truth as ever there was one because how else do you explain planning holidays around film festivals, trading the comfort of a game show on telly for a full night of unpaid labour or thinking it is normal to spend every free minute building sets, setting lights and drawing storyboards? No wonder the outside world looks flabbergasted at the work of these infected and wonder: Why? 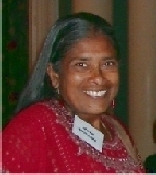 Dorothy joined Perth Film Society (now Perth Camcorder Club) in 1992 and has since become a stalwart of the club, writing and directing many of their productions, not a few of which have won awards. As Secretary for many years she has been responsible for some of the now annual events in the Perth Club's syllabus and can take credit for affiliation to, and active participation in the Scottish Association of Movie-makers and BIAFF. Dorothy has a strong social conscience and enjoys making and publicly showing productions for the benefit of the community. A recent undertaking involved the filming of a talk by a medical expert about M.E. Three and a half thousand copies were subsequently distributed to M.E. sufferers and their families in the UK. As well as making these films she takes a keen delight in giving film shows to various organisations, promoting Perth Camcorder Club at every opportunity. 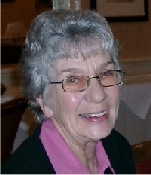 Dorothy is a keen supporter of SAM and has been a most conscientious Secretary for the past five years and Vice-Chairman for three. Organising events is not always easy. However, in order to get the best possible rates for members Dorothy has been known to take on the might of the Crieff Hydro Hotel and win. She ensures that Perth always has an entry for all SAM competitions. In addition to her support for SAM, Dorothy is quietly persuasive in encouraging people to attend IAC festivals and enter the IAC International Film & Video Competition. 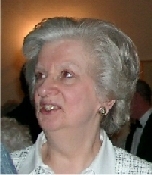 Kay joined CEMRIAC Council in 2000. She has taken an active part in CEMRIAC events for several years, including the initiation and running of a series of very successful training seminars. For these, she managed to persuade many excellent speakers to talk on varied subjects. Kay became CEMRIAC Vice-Chairman in 2004 and Chairman in 2006. During her Chairmanship she oversaw the planning and execution of the 2006 IAC Enthusiasts' weekend and AGM, hosted by CEMRIAC. Kay is also an accomplished film-maker, specialising in wildlife and travel documentaries. She has twice been overall winner at the CEMRIAC Annual Movie Festival. Her other awards include IAC Silver Seals for Survival of the Swan in 2001, Tara in 2003 and Galapagos Wildlife in 2004. She always researches her work and this comes across in her films, which are of great interest with excellent commentaries. Kay has been one of the judges for both the Cotswolds Competition and the IAC International Film & Video Competition and is very astute in her assessments. Derek has for several decades been a member of the Huddersfield Cine Club (latterly the Huddersfield Video & Cine Club). Over those years Derek has been a regular attender at the club's meetings, and has served on the committee for many years. He has been Chairman of the club, and President for a 3 year period. He has been a key member of the club's film making team for over 30 years. Without his skills and knowledge of the audio side of film-making the club could not have achieved the success it has had in competitions both regionally and nationally. Derek was employed for all of his working life by the BBC as a Transmission Engineer, working at several transmitting stations in the North. He is now retired. In the early days Derek attracted attention because of the very competent family films he produced. More recently he has produced several excellent documentaries which have won awards in club competitions. Moreover, he was a member of the team that produced 5 winners of the Denham gold cup for the best club entry. The Huddersfield Video & Cine Club has for many years been responsible for the presentation of films at IAC regional and national events. For at least 20 years Derek has had, and still has, a key role in ensuring the high standards we have achieved are maintained. He has projected at every national event held in Yorkshire over that period. His knowledge and work with the presentation teams has been invaluable as we meet the challenges of new technology. IAC Treasurer Ron Prosser showed early on that he can manage money. By 1955 he'd saved his 2 years earnings as a butcher's delivery boy - the princely sum of £16 - to buy a 9.5mm Dekko Motocamera, much to his parents' dismay. They said he should have used the money to buy something useful! The aspiring film-maker was not put off, however, and after a string of family extravaganzas he joined Crawley Film Unit where he progressed to 16mm, making films in this gauge, both amateur and corporate, for a number of years. Marriage, and the patter of tiny feet meant changing to 8mm, and he notched up several successes in the Ten Best Competition. Video did not appeal to Ron in the early days, because of the poor picture quality. Even when things improved, it was only the advent of non-linear editing that convinced him to take up the new medium. His debut video production was Rose, which won top awards at County, Region and the IAC Competition, and a Bronze Medal at UNICA. Similar successes with Tiddlers, a reworking of a story originally shot on film, added a Guernsey Lily to his tally. 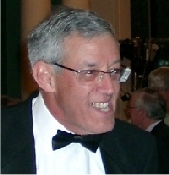 An ideal man to have in your club, he joined Haywards Heath Cine and Video Society ten years ago, filling a number of committee posts, including 2 years as Chairman. Anyone with a filming problem can be sure of a sympathetic ear from Big Ron, as he's affectionately known far and wide. A doer, rather than a watcher, he pops up as bit part player, lighting man, editor, director or cameraman in club projects. 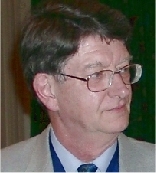 He was part of the Sussex Festival organising committee, and regularly projects at the Festival. He is a respected judge whose constructive comments are much appreciated. As well as being IAC Treasurer, he is a member of SERIAC Council. Ron was Co-Festival Officer when the South-East Region successfully organised BIAFF 2007, helping devise the innovative solutions to the problems raised by a two-venue Festival. Not least of these was the blacking out of the Great Barn Room - involving 49 assorted windows, tall ladders and a lot of cold sweat for a man with more than a passing acquaintance with vertigo. Richard's first venture into the world of drama was at Sixth Form College in Cambridge. He enjoyed the technical aspects and worked on lighting but majored on sound - which is interesting as he is nearly 80% deaf. At university he met Darren Lalonde (a successful amateur moviemaker) and began collaborating with Channel 7 film making group around 1994 where he has done most of his film making ever since. Richard and Darren set the club up formally with constitution, new logo and a web site. From then on Richard has been a key member of the Channel 7 group and has helped with publicity and staging premieres to the general public as well as lending his creative talents to artwork, programmes and posters. Among other credits he helped write The Visit (IAC Silver 1995), was technical director on Freedom (IAC Silver 1999) and co-wrote the documentary BSDRA Team Racing. He has also made some training DVDs and CDs. Richard formed Blackbird Solutions Ltd in 1994 and Merula in 1996 - both going strong. The latter is the Internet Service Provider which hosts the IAC web site, forum, email groups and email service and has done so since about 1999. As part of that he has redesigned the IAC 'chat room' and also hosts the web version of UNICA News magazine. Alan moved from the Manchester area to Rugby and joined Nuneaton Moviemakers in 1988. He had already won two "Ten Best" awards with films made with the Rochdale Club (One Summer's Evening - an animation, and a spoof about the Loch Ness Monster). Alan is a most prolific film-maker, making not only the ambitious films which many have seen, but many, many short films. He has at least one entry in every club competition. This illustrates that practice makes perfect. He is always prepared to help in any club project, from dramas to records of the local community. He struck up a successful formula with club member Gordon Bullock, who plays farmer "Walter Ruddles" in some of the perhaps most widely known of Alan's films. The first "Walter Ruddles" film was Flight of Fancy about genetic engineering where the farmer produced the flying pig. This was made in 1998, before blue screen was easily available and used largely optical devices to create the special effects. It won a gold seal at Movie 1998. The sequel was P.E.T. which this time used blue screen in the flying bicycle scenes of Walter Ruddles. This gained another gold seal. In 2001 the tables were turned and this time Gordon Bullock wrote the script for Ice and did the camerawork with Alan in front of the lens as the police detective. In 2002 Alan made a totally different kind of film - a documentary about light - A Splash of Colour. This won an International Award at BIAFF and at UNICA a bronze medal. In 2006 Walter Ruddles returned, this time in Extinction Event. This collected numerous awards, including an IAC International and a UNICA gold medal and best script award. Those readers who were in South Korea for the screening of the film will remember how enthusiastically it was received, with a very emotional standing ovation. Alan is active at all levels of our hobby. 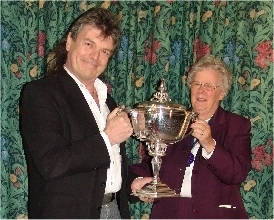 He has been Chairman of Nuneaton Moviemakers since 2005. At Regional level he is on CEMRIAC Council where he has worked as Social Secretary prior to becoming Vice-Chairman and Chairman. He is also a member of IAC Council, where he chairs the publicity and recruitment sub-committee, the Management sub-committee and the FVM sub-committee as well as holding the position of Vice-Chairman of the Institute.